With the shift to cleaner energy sources, there is growing global demand for minerals used in the technologies that help save energy and assist in the production of low-cost or renewable energy. In December 2017, the United States Geological Survey published its first critical minerals assessment since 1973. The report flagged the lack of domestic and secured sources of a range of minerals that are expected to increasingly be used in critical technologies. Just days after the release of the assessment, US President Donald Trump signed the ‘Presidential Executive Order on a Federal Strategy to Ensure Secure and Reliable Supplies of Critical Minerals’. This unheralded move by the President was seen by many as a response to the growing realisation that the USA (and much of the western world) does not have reliable supplies of the key minerals used in the technologies that are likely to shape our world over the coming decades. Earlier this year, the US Department of the Interior followed up the President’s order by releasing a draft list of 35 minerals deemed “critical” to US national security. 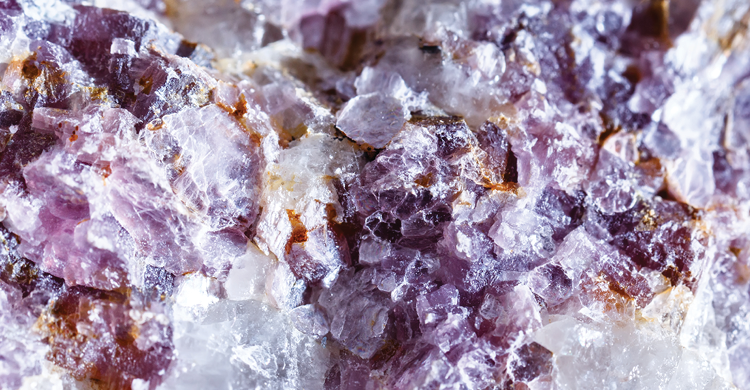 WA is host to almost all of those minerals – some of them in abundance. Most telling, however, was a subsequent report by the Centre on Sustainable Investment (CSI) at Columbia University which revealed that of the six minerals, “most critical for the transition to the green economy”, the USA only had domestic sources of supply for two – tellurium and indium. The other four “critical” minerals were lithium, cobalt, neodymium and dysprosium – three of which are produced in WA with dysprosium to join that list within months. Much has been said about lithium being at the forefront of WA’s latest surge in mining, which is creating hundreds of jobs in both metropolitan and regional areas of the State as well as injecting billions of dollars into the local economy. Notwithstanding the rising cobalt price because of its role in the battery minerals boom, production of the metal in WA remains tied to its status as a by-product of existing nickel mines, though the hunt for new cobalt deposits is underway. WA’s ability to maintain its current status as a major supplier of cobalt to the world will largely depend on our ability to maintain a healthy and vibrant nickel sector. Far rarer is the production of neodymium and praseodymium (NdPr), both light rare earths used in permanent magnet motors in numerous applications including electric vehicles (EV) and wind turbines. To date, production of rare earths in Australia is limited to the world-scale Mount Weld mine operated by Lynas Corporation in the north-eastern Goldfields. A second dysprosium producer will soon commence operations in WA when Northern Minerals celebrates first output from its Browns Range heavy rare earths project in the East Kimberley. This is an important development because Browns Range will be only the second dysprosium-producing project in Australia after Lynas. In addition to the operating mines in Western Australia, there are several other significant NdPr projects in Western Australia that are in various stages of development, such as Hastings Technology Metals’ Yangibana NdPr project, currently in development in the Gascoyne Region. The production potential represented by the above projects positions Western Australia as the significant rare earths supplier outside China. Like neodymium and praseodymium, dysprosium is used in permanent magnet motors that drive EVs and wind turbines, along with numerous other electrical appliances. Dysprosium is a key component in the success of the EV evolution because it improves permanent magnet performance at very high temperatures. Currently, there are no suitable substitution technologies that match the performance characteristics of permanent magnet motors, a fact highlighted by the recent decision of Tesla to use permanent magnet motors in their new Model 3, rather than the AC induction motors used previously. With EV demand expected to grow to a rate of more than 20 million vehicles annually by 2025, the future is looking bright for the global demand of these two rare earths commodities. Australia and the USA have now refocused part of the nations’ relationship toward strategic minerals exploration, extraction, processing, and research and development of rare earths and high-performance metals. China has historically dominated the supply of rare earths to world markets. This dominance was achieved by China utilising its significant deposits of rare earths and focusing investment on developing facilities to beneficiate ore into rare earths products and other downstream products required by manufacturers throughout the world. Consensus forecasts predict China’s current mineral resources will not be able to meet the forecast demand for NdPr after 2020. The implications of China’s historically dominant position were on display in 2011 when, reacting to South China Sea issues, China cut rare earths exports. This resulted in global prices skyrocketing to historic highs. Prices subsequently fell in 2015 when China resumed controlled exports of processed rare earths after a WTO ruling against the export quotas. In light of the projected strong growth in demand for products utilising rare earths and the focus from the US and other key markets on sourcing reliable supplies of these critical minerals, WA is in the box seat to continue to emerge as a global supplier of choice. But this will require leadership and vision at all levels and the right policy settings. As China has taught us, the foresight of investing in downstream processing of critical minerals generates a many-fold return in terms of jobs created, capital invested, and tax revenue generated. The Chamber of Minerals and Energy WA will work on behalf of its members to ensure the industry and governments at all levels put in place policies, strategies and support to keep WA’s mining industry at the forefront of the sector worldwide and generate jobs and investment for WA families and businesses.